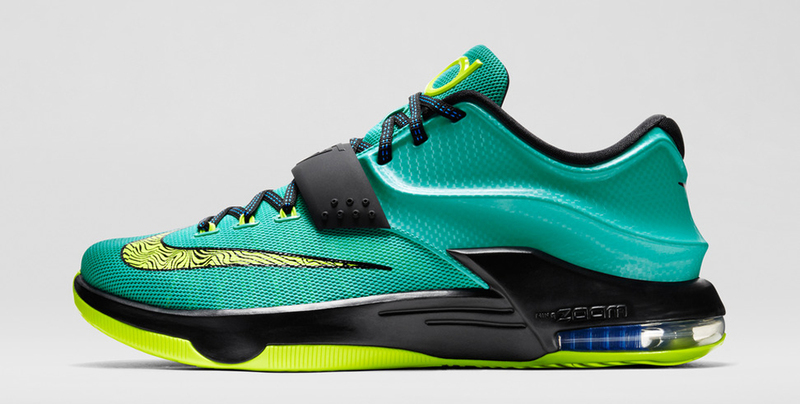 Fresh off the release of the 'Good Apples' edition, Nike Basketball is ready for the next colorway of the KD VII. 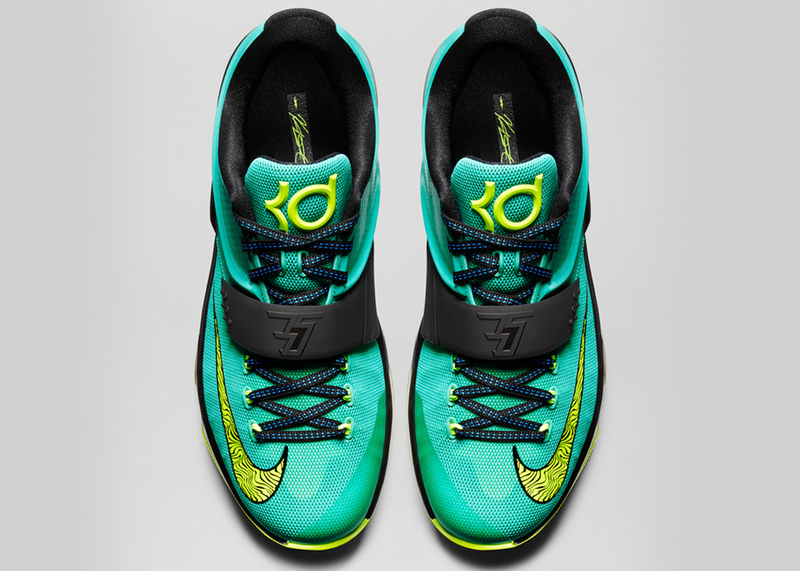 Made to pay homage to Durant's childhood love of meteorology as well as his strive to rise up and become the best. Inspired by lightning and atmospheric events, specifically, sprite lightning. 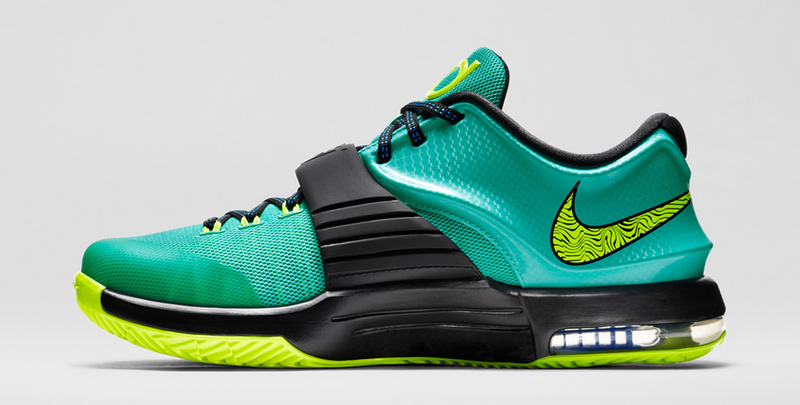 This 'Uprising' edition comes in a hyper jade, black, photo blue and volt colorway. 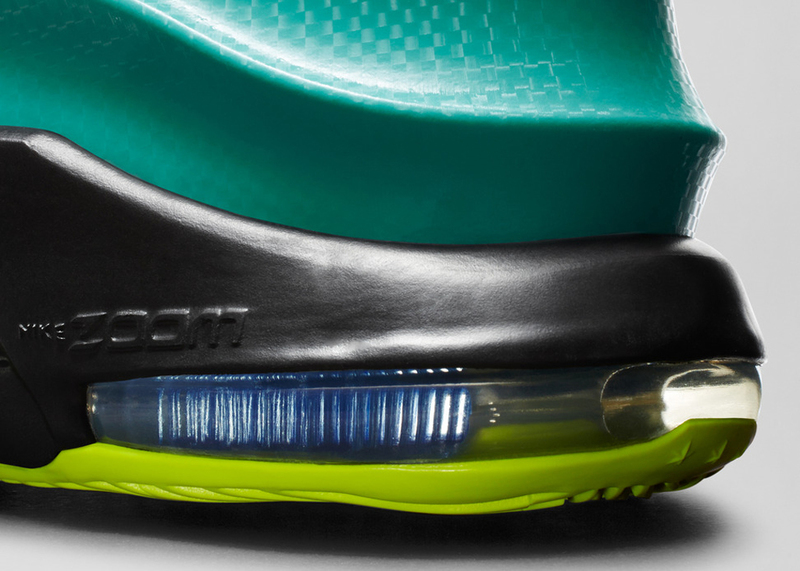 They feature a jade-based upper with volt and black accents. 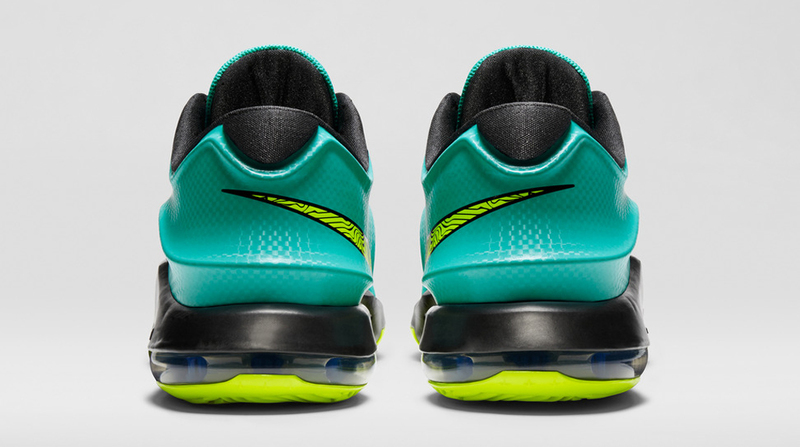 Details include a photo blue visible Zoom Air unit as well as atmospheric graphics on the Swoosh and outsole. 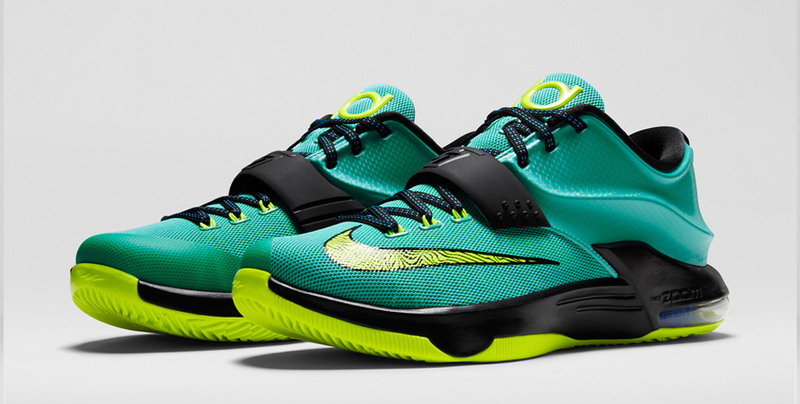 The 'Uprising' Nike KD VII hits nike.com as well as select Nike Basketball retailers on Thursday, October 16.